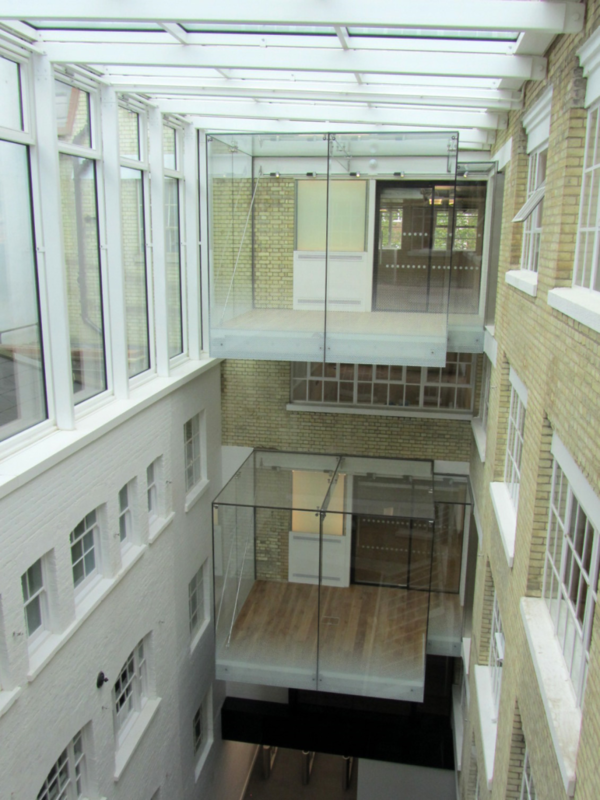 Task: The iconic and original character of The Heal’s Building has been retained and restored to a high standard Grade A specification. 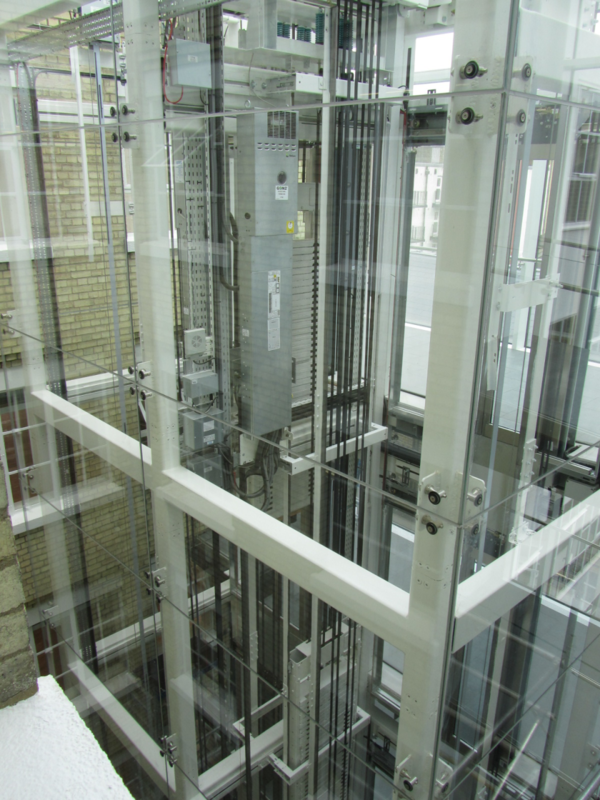 Crofton Engineering were appointed by McLAREN as part of the specialist refurbishment team. 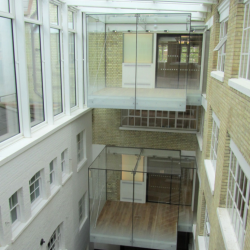 Working on alterations to the existing structure and developments to the new areas. 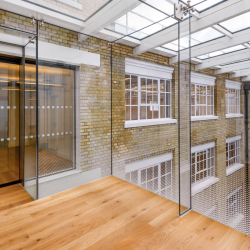 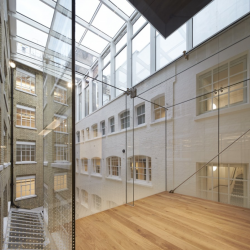 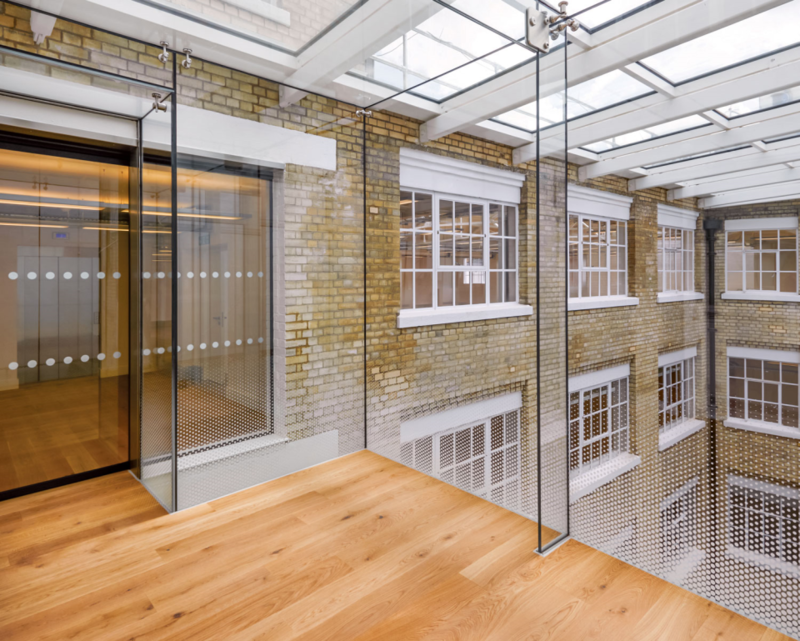 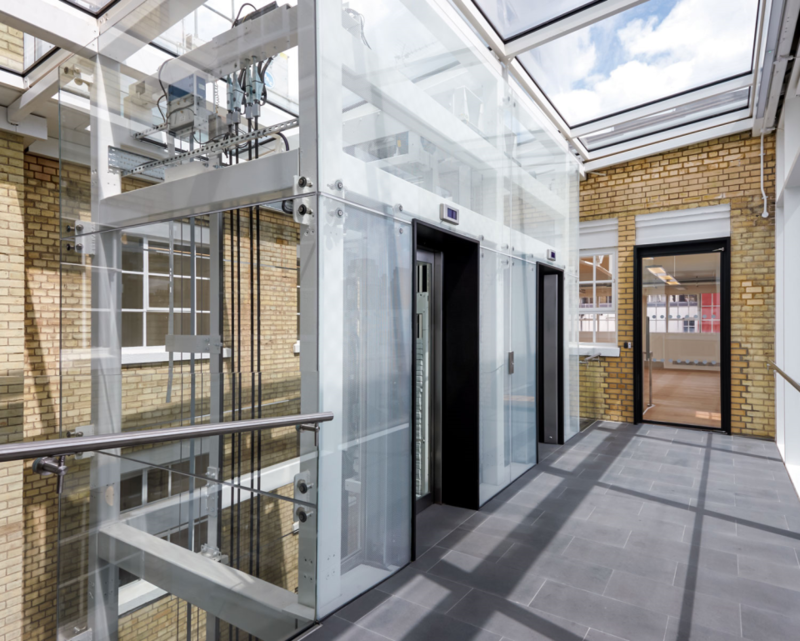 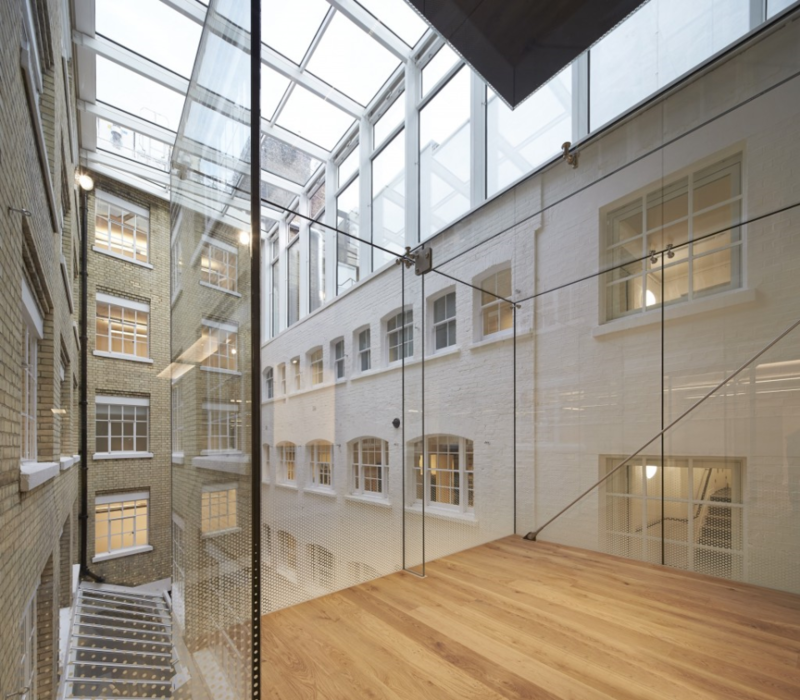 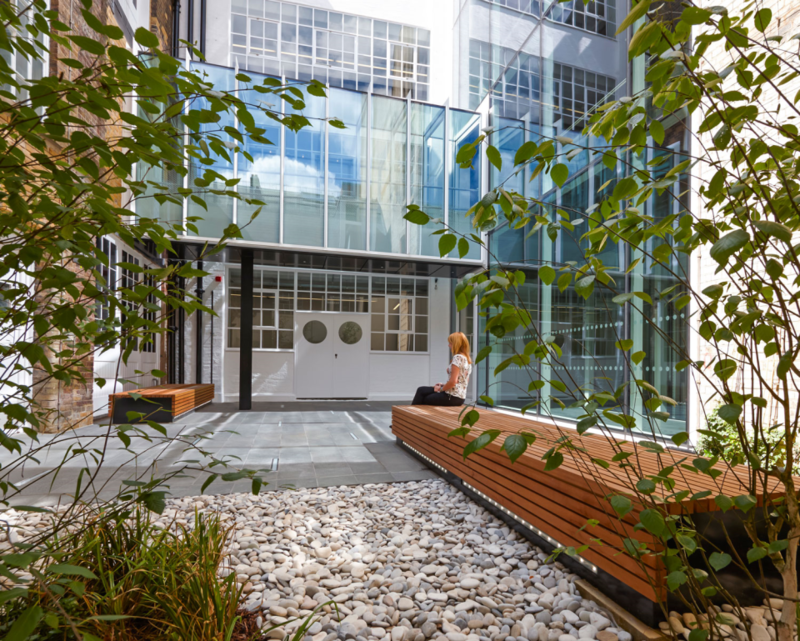 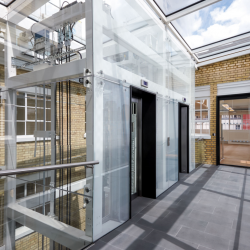 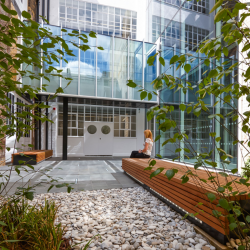 These included infill steels to the existing office floors and steelwork to the new central atrium, glazed meeting pods, feature lift shaft and walkways as well as the glass link bridge in the courtyard area. 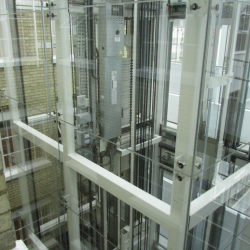 Working without the use of a mobile or tower crane we had to handle and erect steels using various more traditional methods.